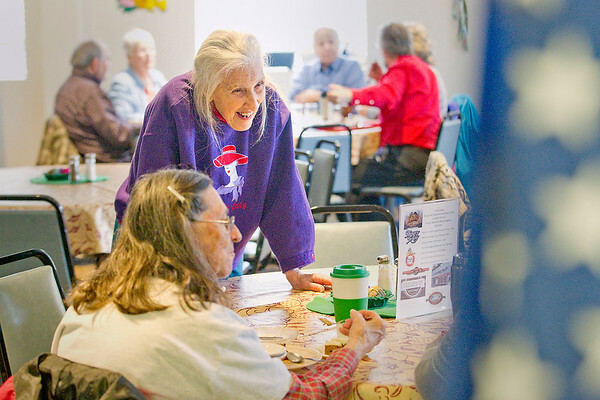 Connie Ryam, top, stops by a table to talk with Joan Frederic, seated, and Bev Holbrook (not pictured) during lunch on Thursday at The Gathering Place Senior Center in Honor. Council on Aging officials are requesting a millage increase to .85 mills to help fund services for Benzie County seniors. "No one takes care of their seniors like Benzie County," said Holbrook, president of the Benzie Senior Resources Board of Directors.